Due to its non-invasive and non-ionizing properties, terahertz (THz) radiation is unparalleled in its sensing capabilities. 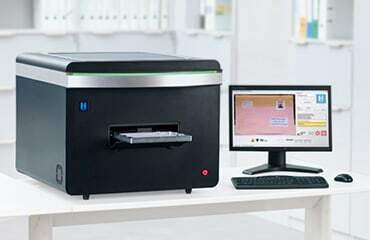 Based on state-of-the-art research results, HÜBNER Photonics division developed innovative and highly compact plug & play systems – allowing contact-free detection, characterization and analysis as well as hyperspectral imaging of materials by THz spectroscopy within a few seconds. 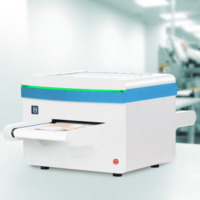 The extremely effective technology of HÜBNER Photonics spectrometers enables the detection of hidden objects and materials such as drugs and explosives in letters and small parcels as well as the identifi cation of fl aws and cavities in non-electrically conductive components. User-friendly, fast & secure Easy-to-use touchscreen based operations allow the analysis of your samples in no time. With their full automation of measurement processes, HÜBNER Photonics terahertz systems carry out extensive data set recordings with minimal personnel costs. As THz waves are completely safe, no expensive safety precautions are necessary. The Terahertz imager T-SENSE®visualizes enclosed hazardous substances precisely in letters as well as small parcels safely and effectively. The Terahertz spectrometer T-COGNITION®identifies hidden drugs or explosives in letters as well as small parcels with reliability and precision.ble. The Terahertz imager T-SENSE FMI for material inspection can visualize process-related properties that are normally remain hidden to your eyes. The HÜBNER Terahertz-spectrometer T-SPECTRALYZER® opens up new dimensions in many fields of measurement applications. The T-SPECTRALYZER F is a high-performance plug & play THz-Spectrometer. Its design allows high flexibility.